Like many mountain resorts, Fairmont Hotels and Resorts found it hard to attract seasonal staff. 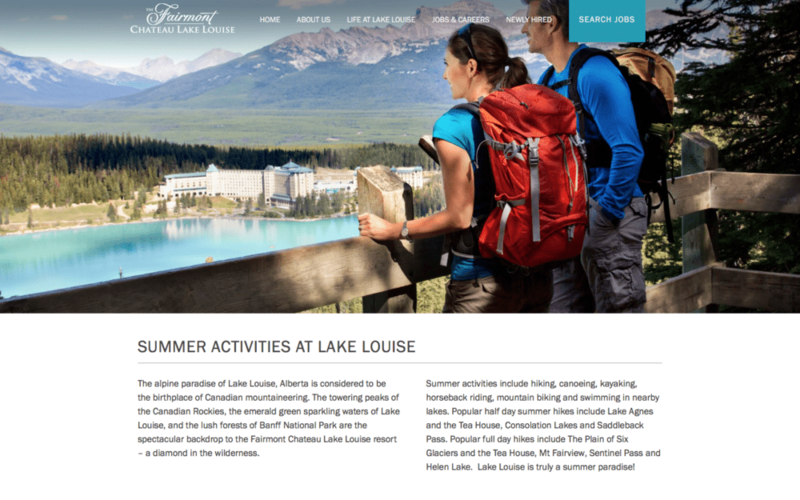 They were also looking to streamline the process for on-boarding new staff, and welcoming them to the Lake Louise area. 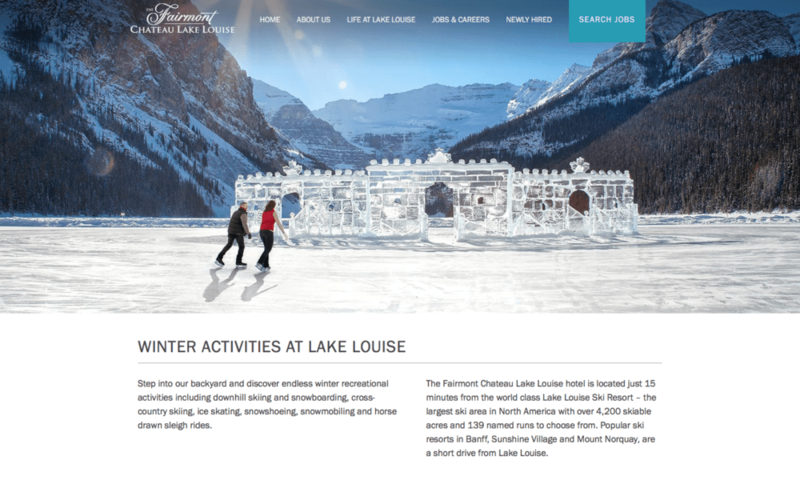 Cornerstone worked with Fairmont Château Lake Louise staff to determine how to improve recruiting and landed on a mix of strategy and good looking, targeted content. 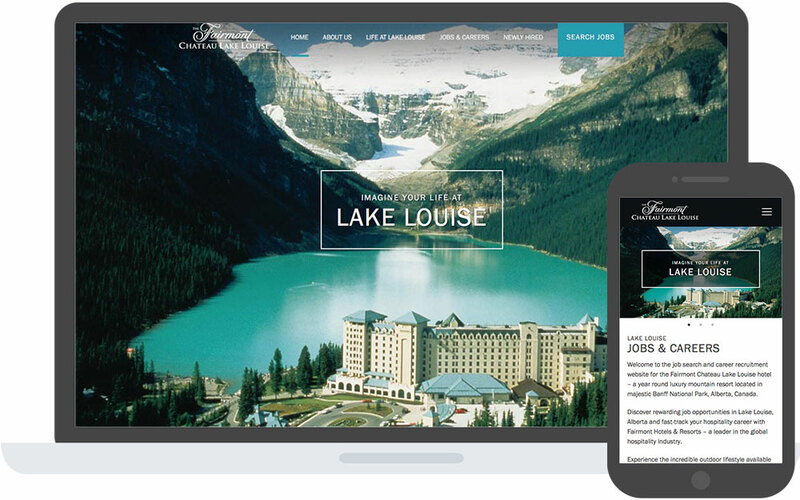 The strategy was to drive prospective staff to Fairmont’s global recruiting website, provide them with a good idea of what life in Lake Louise will be like for them, and walk new staff members through arriving and thriving in the Lake Louise area. The finished product, a fully responsive, CMS-driven website, was not only well received by Fairmont management, but was named an IMA Best in Class award-winning website! Don’t just take our word for it, check it out yourself.